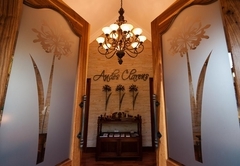 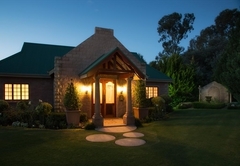 Andes Clarens Guesthouse is a B&B with self catering option, providing accommodation in Clarens for tourists visiting the Thabo Mofutsanyana region. 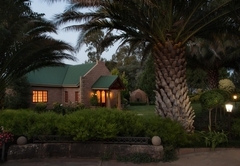 Andes Clarens Guesthouse is situated 5km outside Clarens in the Eastern Free State on a working farm environment and 35km from Bethlehem. 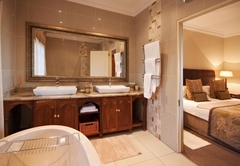 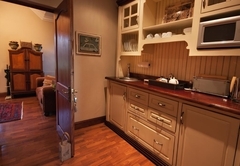 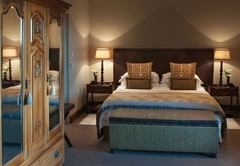 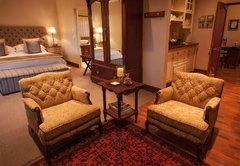 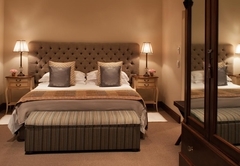 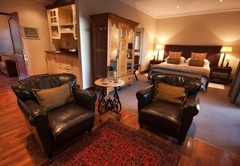 With only two luxury units guests are ensured of privacy and quiet, and we take pride in our AA 4* Superior accommodation which consists of a en-suite bathroom with bath and shower, fully equipped kitchenette, king size bed, plasma TV, fireplace, under floor heating and air con, as well as an outside braai facility. 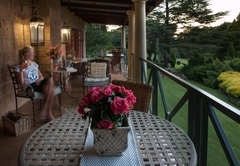 Although self catering, breakfast can be served on the veranda overlooking the picturesque surroundings. 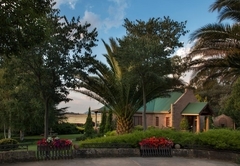 Guest can experience the tranquility of an award winning garden with swimming pool, enjoy game drives and scout the beautiful trails in the mountain. 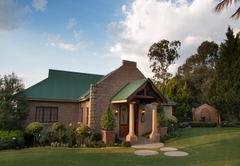 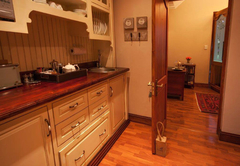 Clarens is a five minutes drive from the farm which provides numerous restaurants, a challenging golf course, trout fishing, horse riding and art galleries. 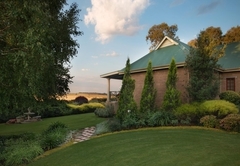 Our wedding venue can accommodate up to 160 guests, with a fully equipped kitchen, bar and toilets, and we provide a bush church next to the dam for the more daring. 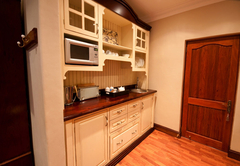 We make use of well known caterers and decor specialists, to provide the best possible service. 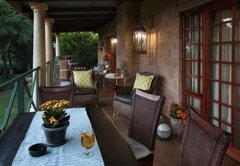 Owners Philna & Marius Naude are excellent hosts who always goes the extra mile to ensure satisfied customers. 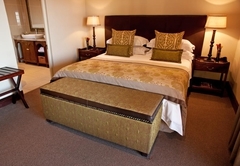 The facilities can also be used as a conference center and all equipment required can be provided with pre arrangement. 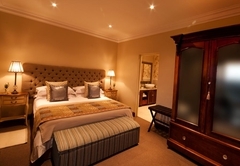 Superior accommodation which consists of a en-suite bathroom with bath and shower, fully equipped kitchenette, king size bed, plasma TV, fireplace, under floor heating and air con, as well as an outside braai facility. 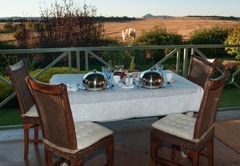 Although self catering, breakfast can be served on the veranda overlooking the picturesque surroundings. 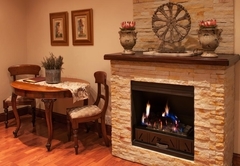 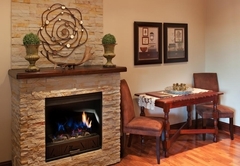 Response timeAndes Clarens Guesthouse typically responds to requests in 5-10 minutes.